University of Waterloo's Global Engagement Seminar Program is pleased to invite you to the Global Populism and Democratic Futures Summit on March 28 at 7:00 PM to 10:00 PM and March 29 from 11:30 AM to 8:00 PM. 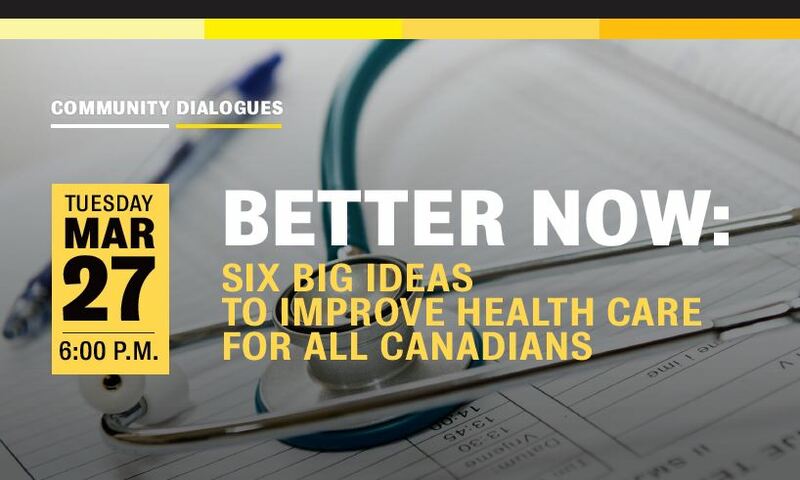 Presented in partnership by the Stratford Public Library and the University of Waterloo Stratford Campus: Six Big Ideas to Improve Health Care for All Canadians. Canada’s health care system was built on a promise we can all be proud of: the promise of access to services based on need, rather than the ability to pay. We can continue to be proud of that promise, but to deliver on it, health care needs to be improved. Dr. Danielle Martin will walk us through ways of doing just that. The Upstart Festival is a juried student performance festival produced by the Theatre and Performance program. Written, directed and performed by students, the 2018 UpStart plays are The Game of String, Hopscotch, and Hamlet Reworked. 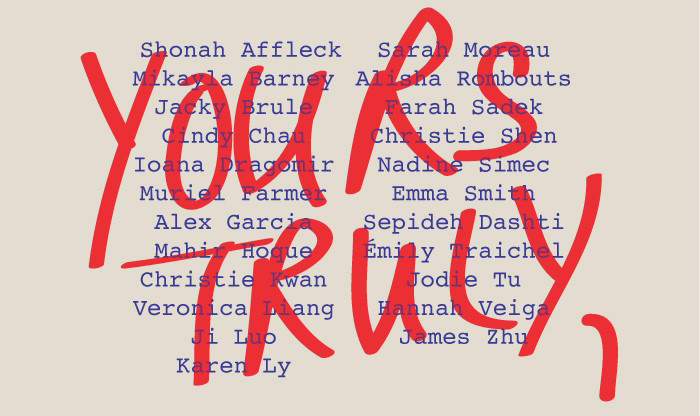 Please join the students, staff, faculty and family members of Fine Arts for 44th Annual Senior Undergraduate Exhibition “Yours Truly”, showcasing a unique collective fourth-year class effort with selected pieces from each student for their final exhibition. Join the Department of Anthropology for the 2018 Silver Medal Award Lecture featuring visiting Professor Bonnie McElhinny, University of Toronto. Political scientists note that we live in an “age of apologies” for historical wrongs (typically, war-crimes and racialized harms). 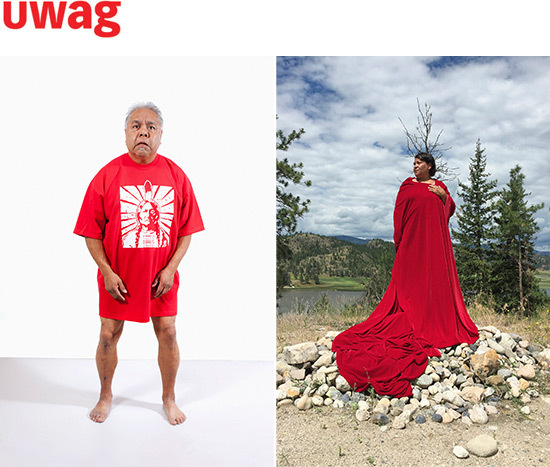 Canadian governments have made about 11 major apologies, quasi-apologies or statements of reconciliation since the mid-1980s, mostly for actions against Indigenous or racialized groups, but also recently for homophobic exclusions. This talk considers what these apologies are and do; what form of redress apologies are and are not; and why they have arisen alongside policies of trade liberalization, economic deregulation and state transformation. The Reading Series at St. Jerome's welcomes a splendid addition to the Languages of Home series: Liz Howard! 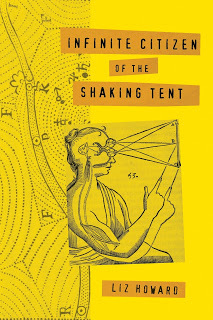 her first book of poems, Infinite Citizen of the Shaking Tent, won the 2016 Griffin Poetry Prize, the first time a debut collection has won the award. The next Women's Studies "Tea and Talk" features speaker Dr. Canan Aslan Akman, Middle East Technical University, Turkey, who is a political scientist and currently a visiting researcher in the Women's Studies Program. 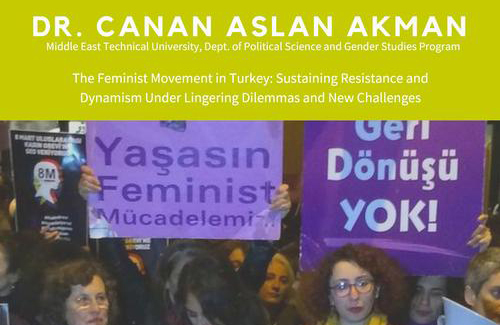 Dr. Akman's talk is entitled "The Feminist Movement in Turkey: Sustaining Resistance and Dynamism under Lingering Dilemmas and New Challenges."